So firefighters tore up the floor to save her. 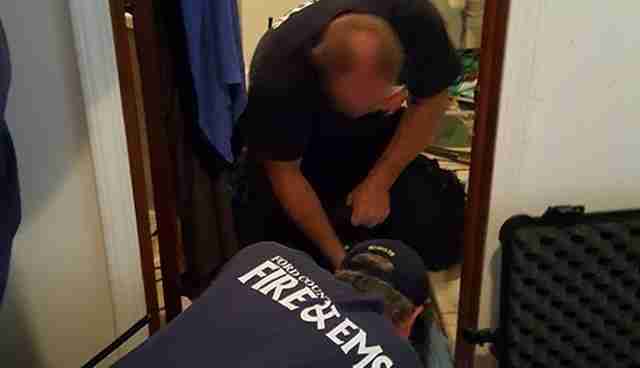 Early in the morning last week, rescuers with Ford County Fire & EMS (FCFD) in Dodge City, Kansas, received a rather distressing call - a 3-week-old kitten was reportedly trapped inside a toilet. 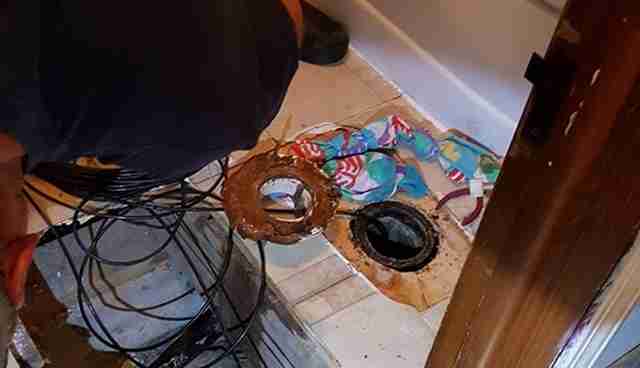 Upon arriving at the scene, the rescue team learned that a 4-year-old child who was left unsupervised took the female kitten away from her mother, who had just given birth to a litter, and decided to flush the young cat down the toilet. 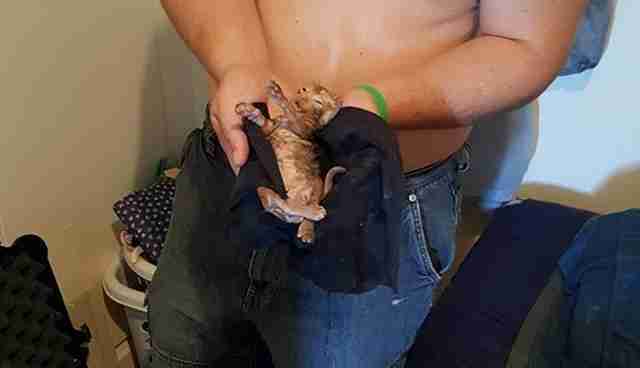 Rescuers heard the kitten mewing for help and worked to first remove the toilet completely, hoping to recover the animal that way - but her rescue proved to be slightly more difficult. "The kitten had traveled 4 feet and made a turn in the piping where the pipe would go outside to empty," Robert Boyd, FCFD fire chief, told The Dodo. 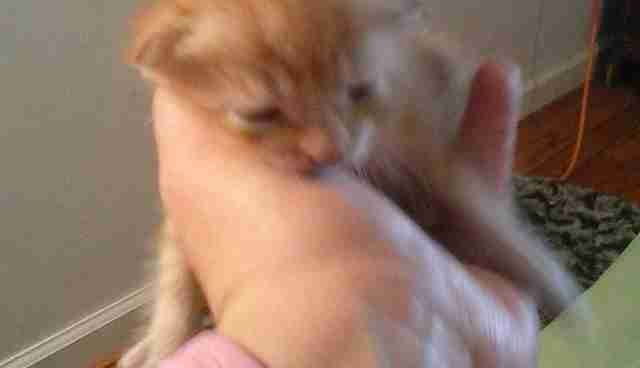 A camera placed down the pipe showed the kitten firmly lodged just past a pipe bend. After nearly three hours of cleaning away dirt and cutting pipe, rescuers were finally able to reach in and pull out the trapped animal. "The kitten was very lethargic and not moving much," Boyd said. "We immediately began to warm her up and put her in a towel. The owners washed her off and placed her back with her mother." Later that day, the kitten was reported to be doing just fine - she had miraculously survived and, naturally, earned the name Miracle from her owners. 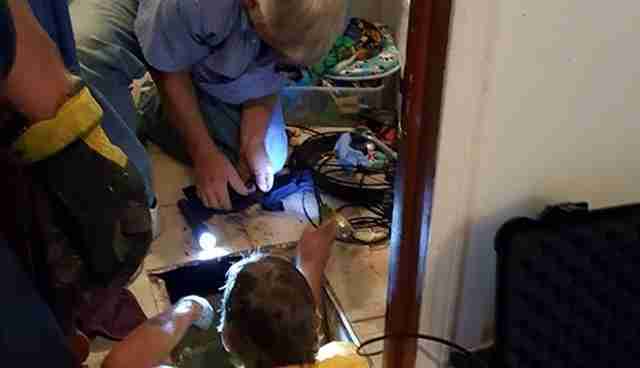 "We've done animal rescues before, but this is the first one we had to dig out of a toilet," Boyd said.